Have you become hooked on Google Plus and have a tough time staying fully active on other social networks? Friends+Me is a cool app that will help you syndicate (repost) your public G+ posts to other networks to help you stay active across the board. This post takes a detailed look at Friends+Me and some of the ways to use it. Update Sept 26, 2014: For the sake of complete transparency, I want to announce that, after almost one year as a Friends+Me user, I just canceled my payment subscription, removed my social profiles from the Friends+Me dashboard and deleted my Friends+Me account. I left Friends+Me because I believe it was time for me to slow down the automation and kick personal content sharing up a notch. In these two posts, you will find several other great tools for discovering and sharing content, along with a little automation as far as scheduling, that may take a little more time but definitely yields better results. Who Can Benefit From Friends Plus Me? Friends+Me is the creation of Alois Bělaška and it’s a Google Plus app that takes your public Google Plus posts and sends them to other social networks (Facebook, Twitter, LinkedIn, and Tumblr). You have full control (See “Complete Sharing Control” below) of which networks all or a particular post is shared. It’s really personal preference on how much of same content we want to post on the various social media sites but this is certainly a time saver for those that want to post across the board on consistent basis and are short on time. Personally, I think reposts shouldn’t be the only thing we share on the other networks but I love to repost certain shares from G+. A side benefit to Friends+Me is that it brings followers of your other networks to your Google plus account. Personally, I think Google Plus is becoming more and more important and most of us should be building an Empire there. NOTE: One thing I’ve been doing for shares such as a blog post, where I want a direct link to that blog post, is including the link within the Google Plus post itself. 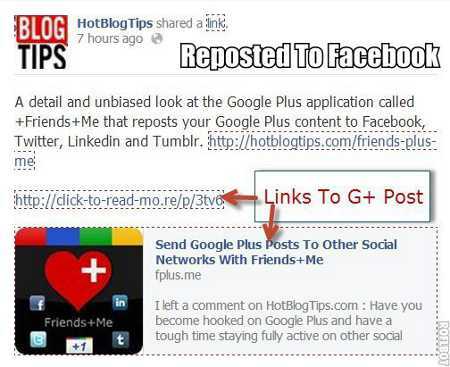 Facebook: Shared G+ posts behave differently depending on the post and destination social network. For example, if I share an image post on Google Plus, which is then reposted to Facebook, that shared post on Facebook will include a link to my G+ post. 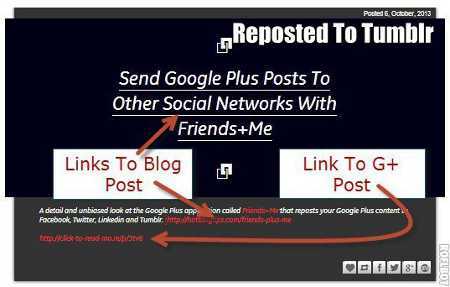 This is a fantastic way to build your Google Plus following! Twitter: Now, on Twitter, that same image post (not mine but shared on G+) will include a link to the original image (The person I shared the image from) rather than my G+ post. This is fine but you should be aware of that in case the reason you sent it to Twitter was to bring tweeple back to your G+ profile or page. 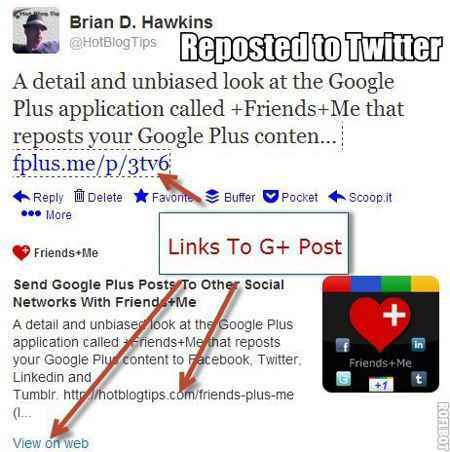 You’ll need to repost your own content from Google Plus to accomplish that. Tumblr: Tumblr behaves differently as well by including links to both. If you click the picture, you will go to the original source the image was shared from. If you click the shortened click to read more link, you will be taken to your Google Plus post. LinkedIn: Reposts to LinkedIn show nicely and link directly to the blog post. I’ve been using the free version of Friends+Me for about 3 months and just recently upgraded to the Standard version. I upgraded because I want to share more than 40 public posts and I want to do that from my Google Plus Page, not my personal G+profile. 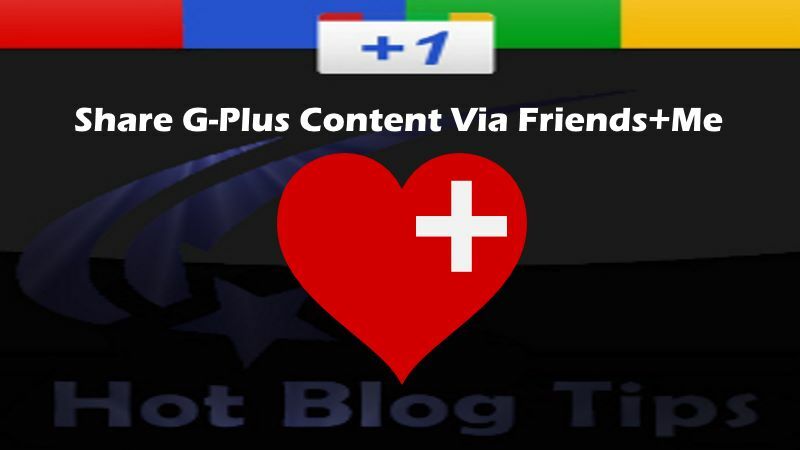 FREE – 40 reposts per month and shares from your Google Plus profile only. STANDARD: $29.99/yr or $2.99/Mo – Unlimited reposts, up to 3 Google+ Pages and Bit.ly support. UNLIMITED: $49.99/yr or $4.99/Mo – Unlimited reposts, unlimited Google+ Pages and Bit.ly support. Okay, this is pretty cool; Friends Plus Me uses designated hashtags to control if and where your posts are reposted. 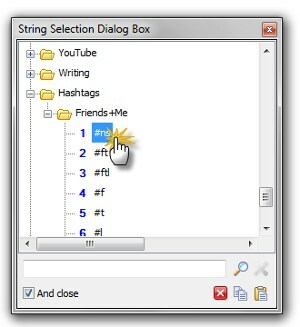 There are standard hashtags already set to go and you can also create custom hashtags as well. The first thing you should do is setup your default destination accounts. This will automatically repost to those default social networks every time you post publically, unless you use a hashtag to route differently. I’ll attempt to include the control hashtags but it’s going to look more complicated than it really is. Keep in mind, the hashtags can be combined and it doesn’t matter in what order. For example, the hashtag #f is for Facebook and #t is for Twitter; so if I want to send to both Facebook and Twitter I simply add hashtag #ft or #tf. Now that post will be sent only to Facebook and Twitter and ignore the other connected networks, for that Google Plus post only. Keep in mind, ONLY Public posts can be reposted. Private posts or those sent to only certain circles will not be reposted. Also, if you DO NOT want a public post shared to any network, you simply add the hashtag #ns or #noshare. Don’t Repost Anywhere: #ns or #noshare. As an example of how you can use the custom control hashtags; I setup a custom hashtag named #all that will send a public post to all of my connected networks, including my Facebook personal profile. I did this because I removed my public Facebook profile from my “Default destination accounts”. As of the time of this post, there’s no scheduling option in Friends+Me but the app creator Alois Bělaška says it is in his future plans. There is a way to schedule Google Plus posts right now by using the free Chrome extension Do Share. One of the cool things about Do Share that once the extension is installed in your Chrome browser, you’ll be able not only to schedule your posts on Google+, you’ll also be able to schedule reshares of other people’s G+posts. Note: I haven’t been able to get Do Share to upload an image when creating a post through the extension. It shows the image just fine on a reshare but simply won’t connect when adding an image of my own. This may have something to do with my system or setup because I haven’t seen where others are having the same issue. I’ve been using Flashpaste Professional by Softvoile for years. Flashpaste is a simple text and clipboard utility that I use for everything from passwords to email signatures. I bring it up because it’s also very handy for things like the control hashtags used by Friends+Me. Actually, it’s handy for any network that uses hashtags but I’ll stick to the topic at hand for now. I have Flashpaste setup on all of my computers to bring up the text paste utility when I push “control” and “I”. I scroll to the hashtags folder, select the appropriate hashtag and I’m in business. Are you strapped for time too? Are you hooked on Google Plus yet? Is Friends+Me something that could help you? I’d love to see your comments about Friends+Me of sharing content across the various social networks. Click the appropriate tab below to comment with WordPress, Facebook or Google Plus.